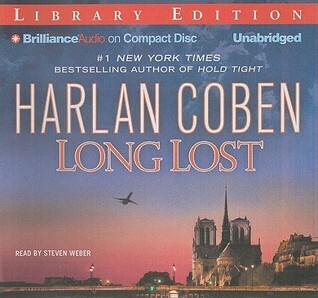 This is my first Harlan Coben book and I’m not sure what to think. Well, I know what to think, how to think and thinking is something I like to do to keep me from watching reality TV. My opinion of this book, however, is rather undecided. Myron seems like an interesting enough character, the character of Win is a scene stealer, and the mystery is interesting enough. About half-way through the book, the pace picks up and things change around a bit. Even so, I’m still left unsure as to whether I enjoyed the book or not. I think this may be that this book is number nine in the series and is written with Myron fans in mind, rather than fresh readers. As such, the Myron character feels a little flat and sappy. It might also be that the plot twist is a little improbable and pointless – as another reviewer pointed out, using an expensive procedure rather than just kidnapping is a bit silly. Might have to try one of the earlier Myron Bolitar novels to see if I enjoy Harlan’s work.